Season 8 has brought a lot of new pickaxes with it. Fortnite players love a cool pickaxe to go with their outfit, so there’s obviously a lot of excitement around these new pickaxes. This list features all pickaxes released in season 8 of Fortnite, both those from the battle pass and the item shop. The Snakebite pickaxe is unlocked at tier 38 of the season 8 battle pass. The Lockpick pickaxe is unlocked at tier 55 of the season 8 battle pass. 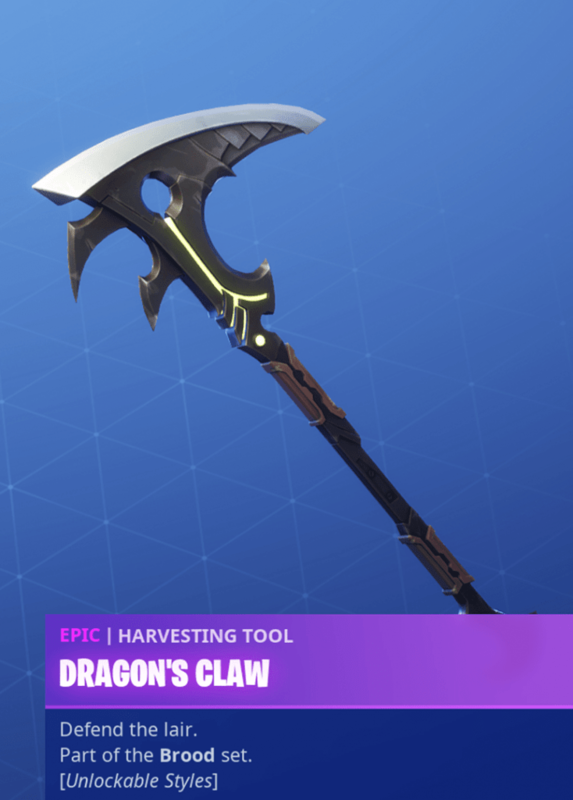 The Dragon’s Claw pickaxe is unlocked by reaching 20k xp in the Hybrid skin challenges from season 8. 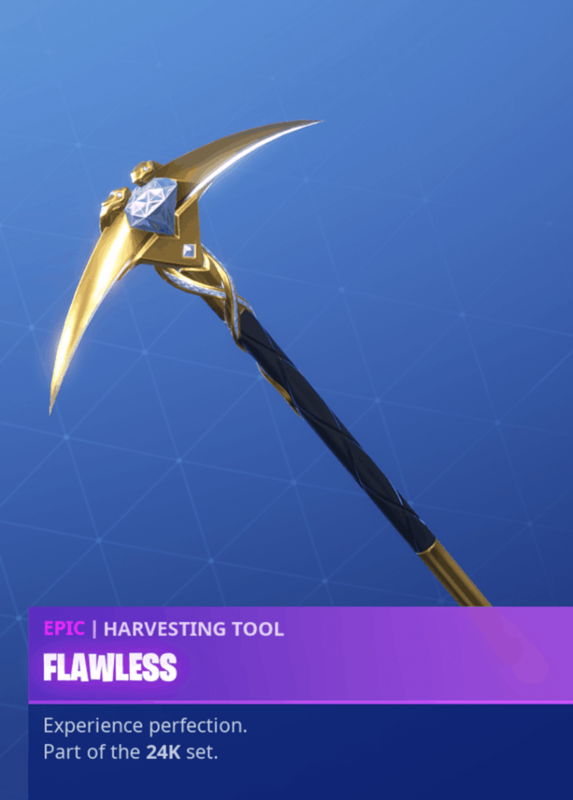 There are multiple unlockable styles for this pickaxe. 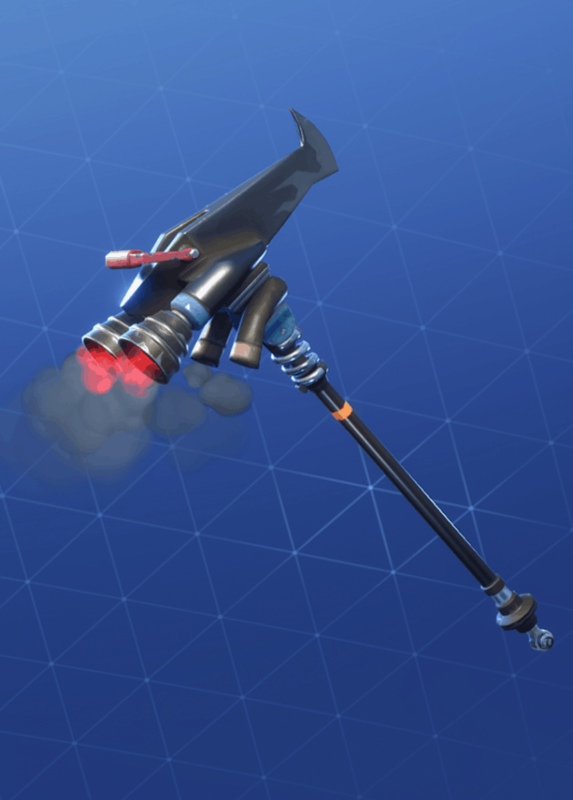 The Swag Smasher pickaxe is unlocked by acquiring 120k xp in the Blackheart style challenges. The Flawless pickaxe is unlocked through Luxe challenges, which are unlocked at tier 100 of the season 8 battle pass. The Flimsie Flail pickaxe hit the item shop the 2nd of March 2019 with the two skins from its set, Bendie, and Twistie. 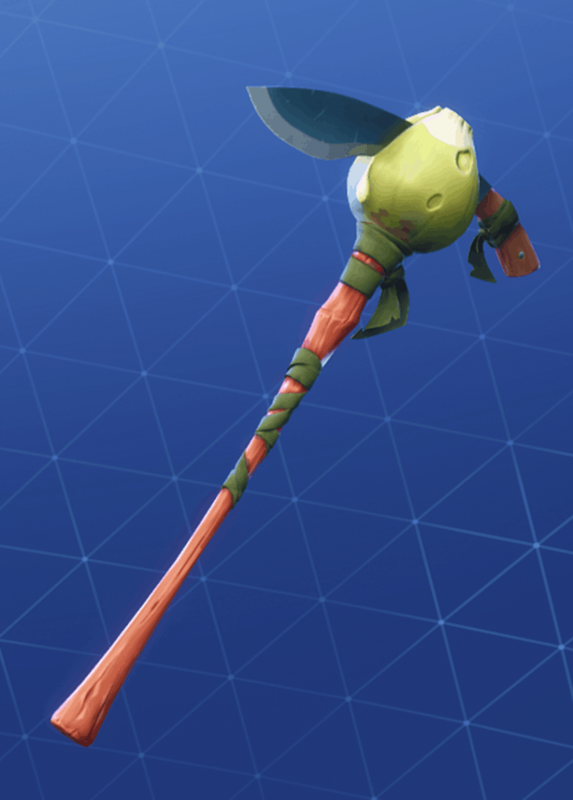 This pickaxe is rare and costs 800 V-Bucks. The Brute Force pickaxe hit the item shop the 5th of March 2019. It is part of the Hypernova outfit set. 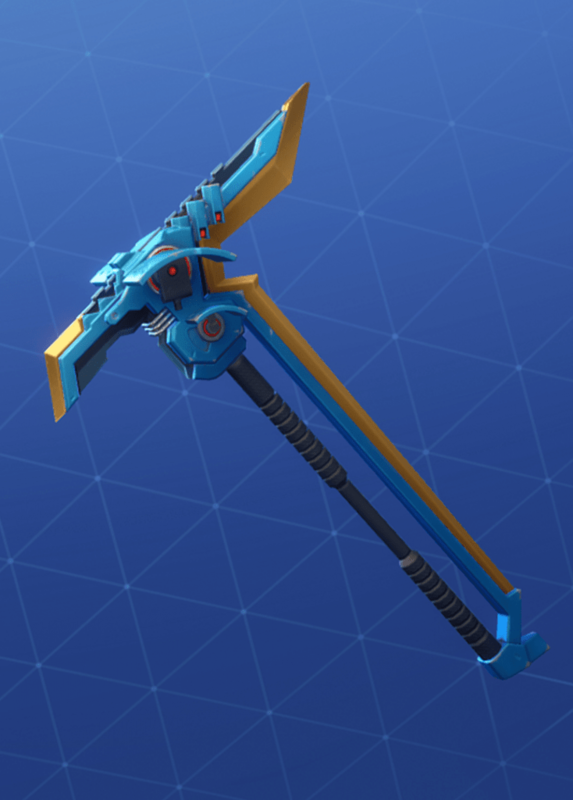 It is an uncommon pickaxe that costs 500 V-Bucks. 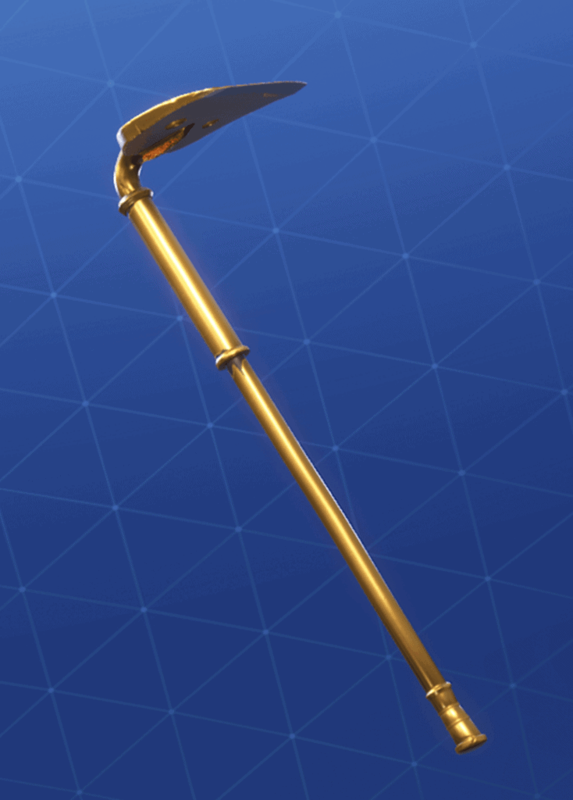 The Gold Digger pickaxe hit the item shop for the first time on the 6th of March 2019. 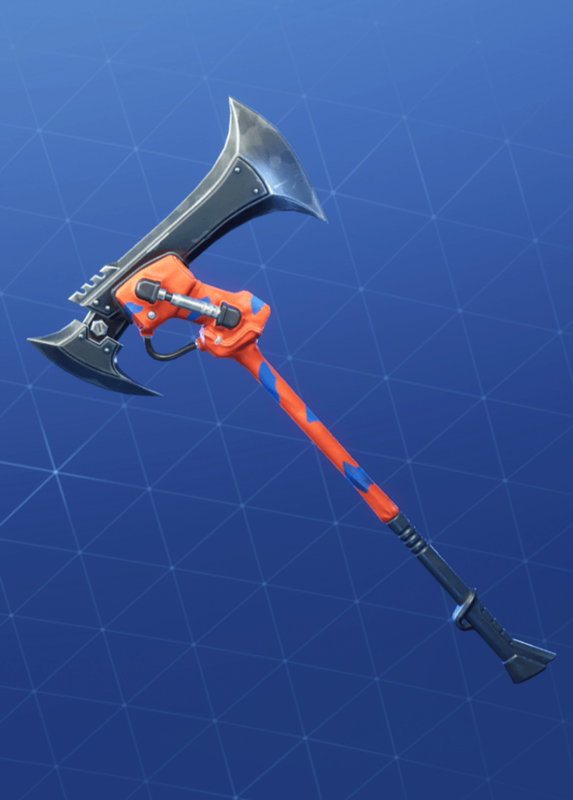 It is a rare pickaxe and costs 800 V-Bucks. The Axetec pickaxe was released on the item shop on the 8th of March 2019. 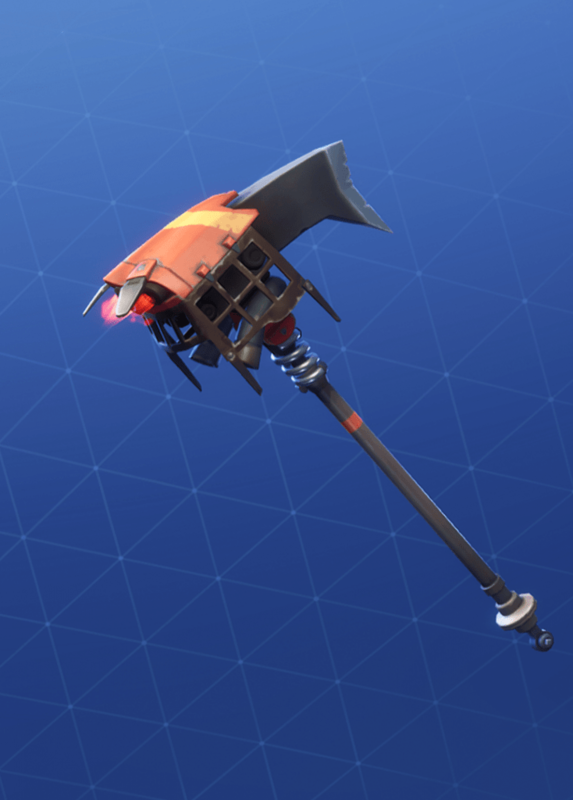 Axetec is a an uncommon pickaxe that costs 800 V-Bucks. The Machete pickaxe was released on the item shop on the 10th of March 2019. 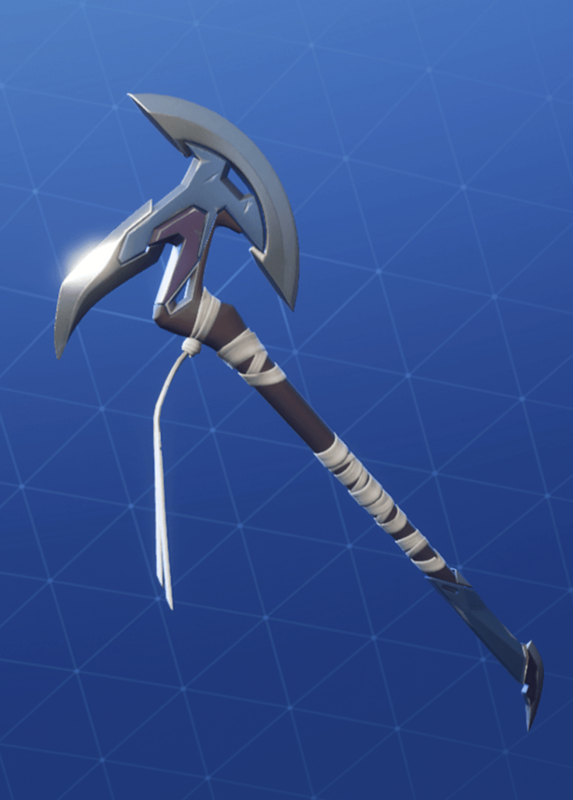 Machete is an uncommon pickaxe part of the Tropic Troopers set and costs 500 V-Bucks. The Quickstrike pickaxe was released on the item shop on the 16th of March 2019. Quickstrike is part of the Falcon Clan set and costs 500 V-Bucks. 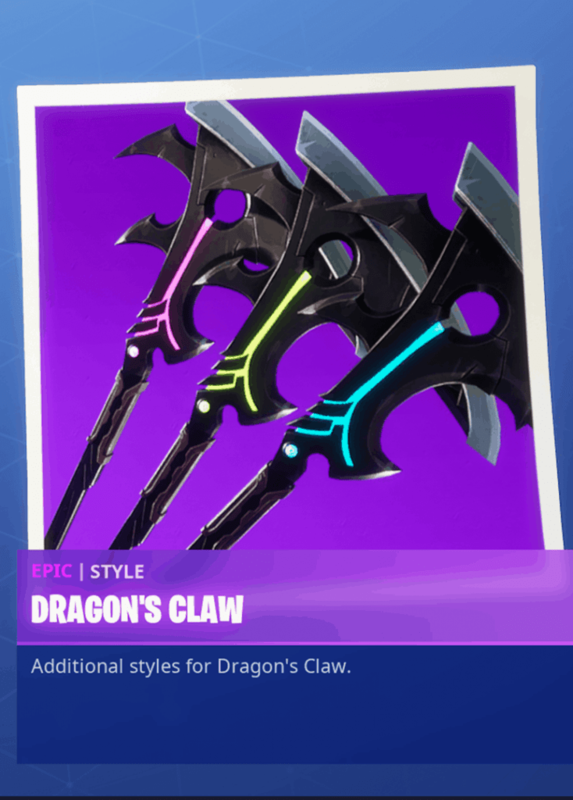 The Tri Star pickaxe was released on the item shop on the 18th of March 2019. It is a rare pickaxe that costs 800 V-Bucks. 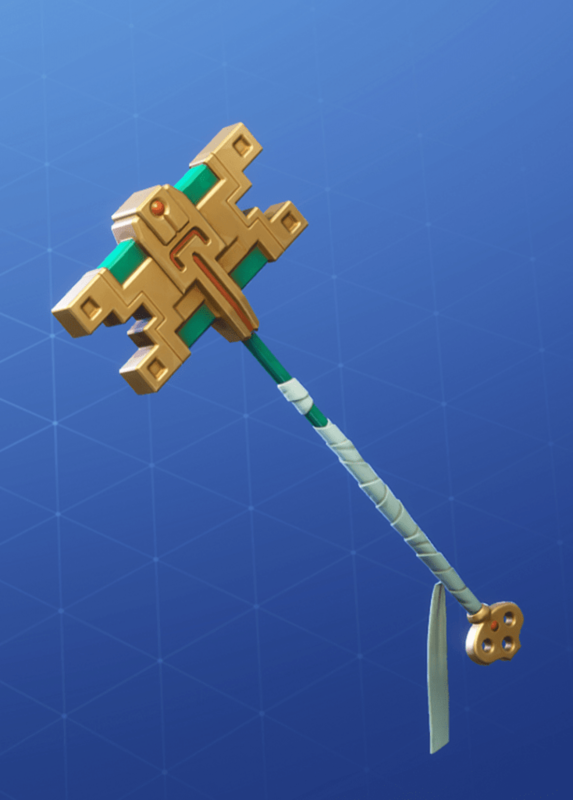 The Star Wand pickaxe was released on the item shop on the 19th of March 2019. 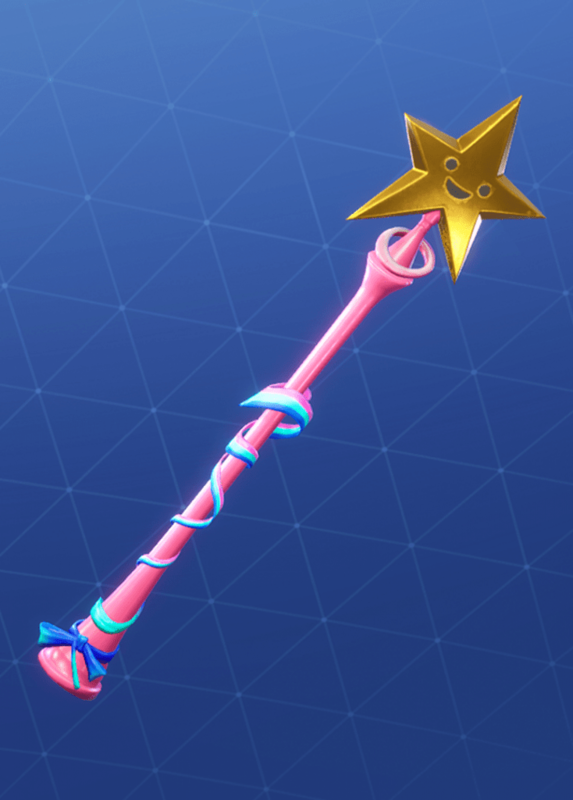 Star Wand is a rare pickaxe that costs 800 V-Bucks. 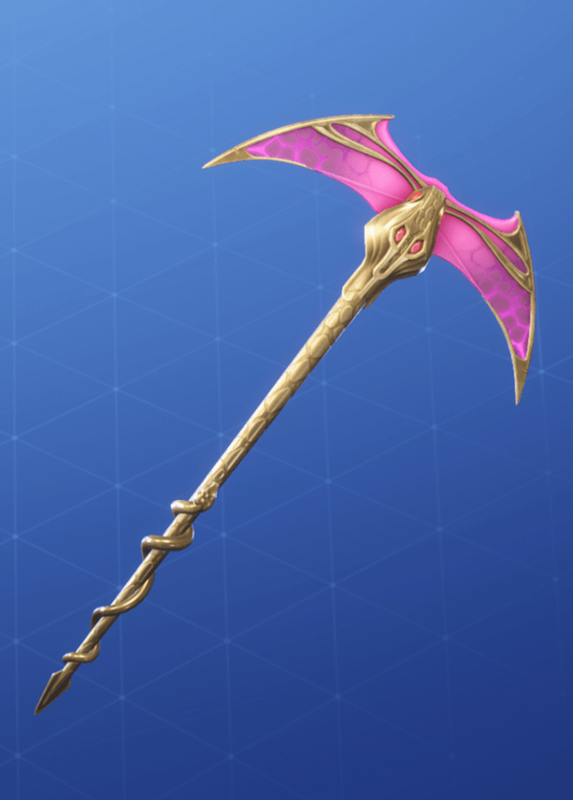 The Psionic Edge pickaxe was released on the item shop on the 20th of March 2019. 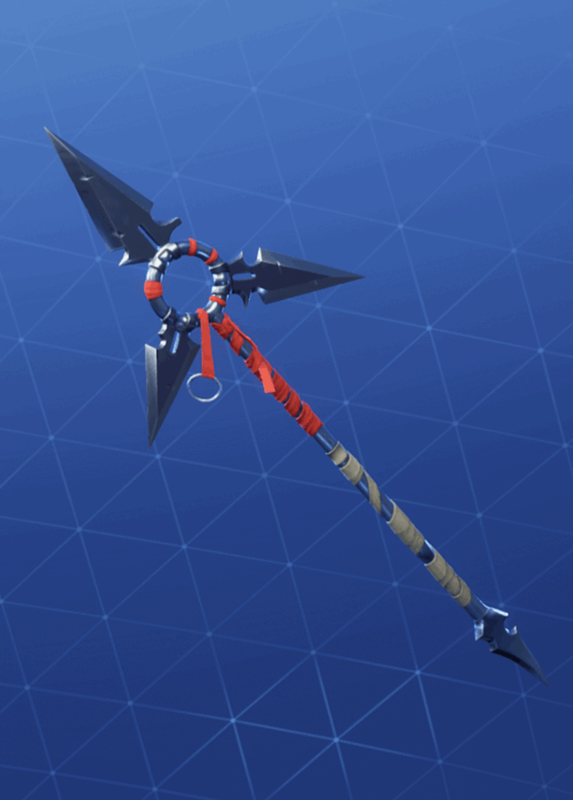 It is a rare pickaxe part of the third eye set that costs 800 V-Bucks. 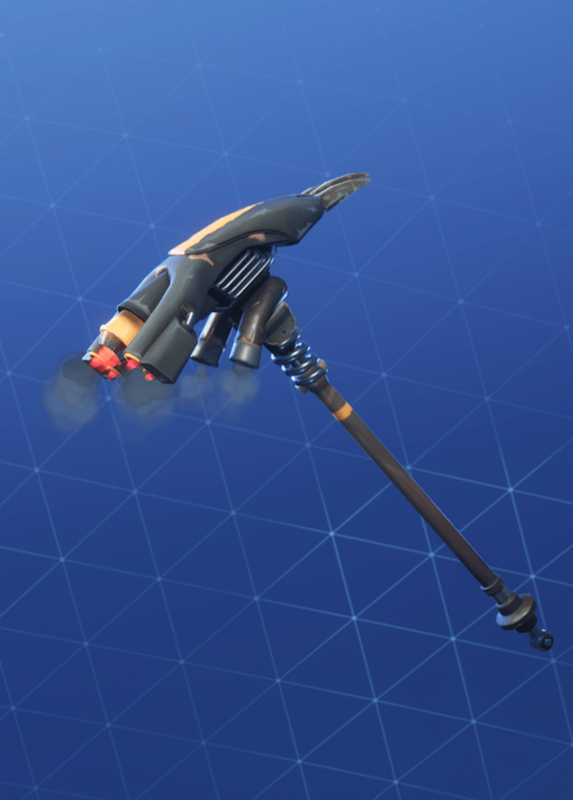 The Burning Axe pickaxe was released on the item shop on the 22nd of March 2019. 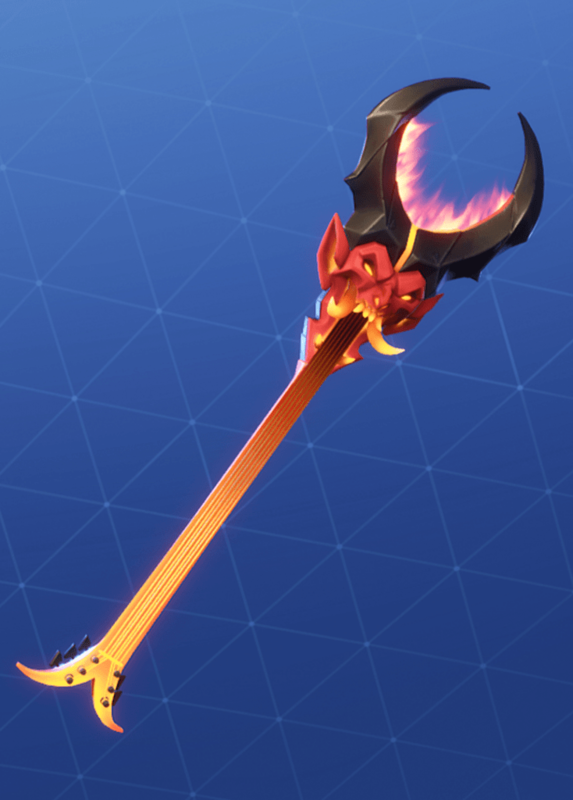 Burning Axe is an epic pickaxe part of the Diabolical set and costs 1200 V-Bucks. 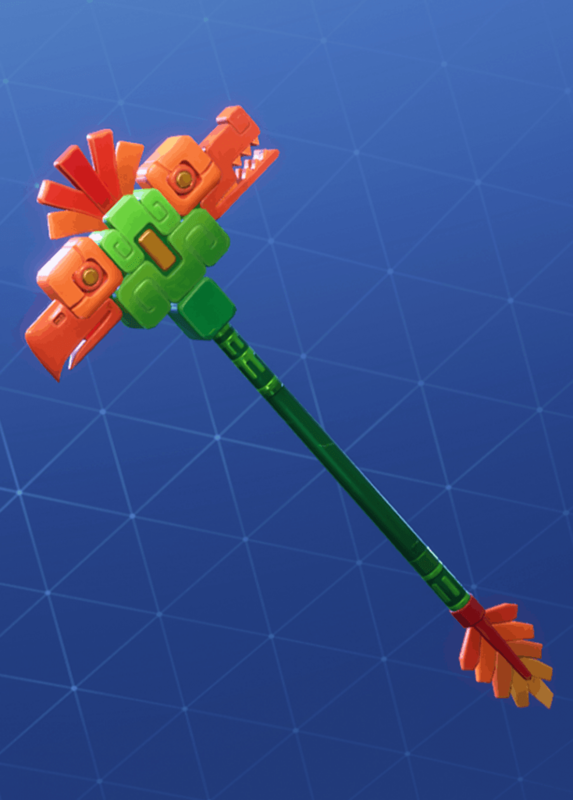 The Mauler pickaxe was released on the 23rd of March 2019. 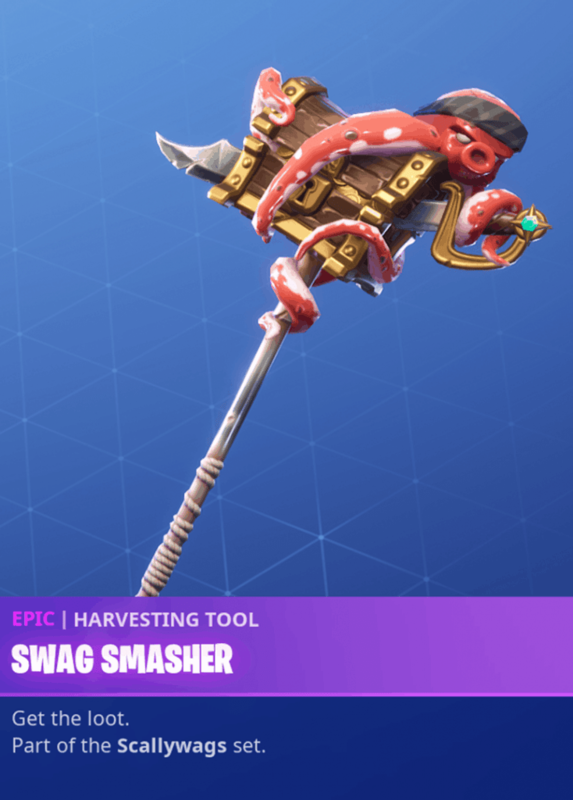 Mauler is part of the Mechanimal set, comes in 4 styles free of charge, is an epic pickaxe, and costs 1200 V-Bucks. 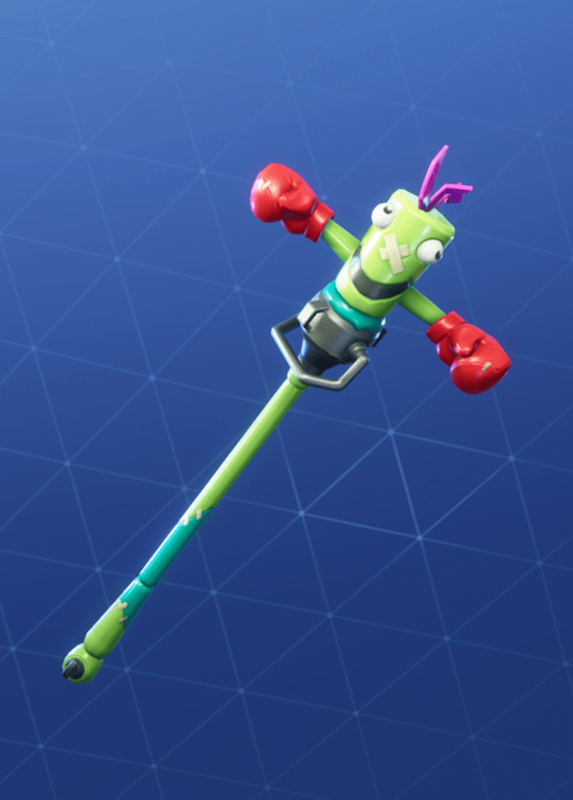 The Stumpy pickaxe was released on the item shop on the 23rd of March 2019. 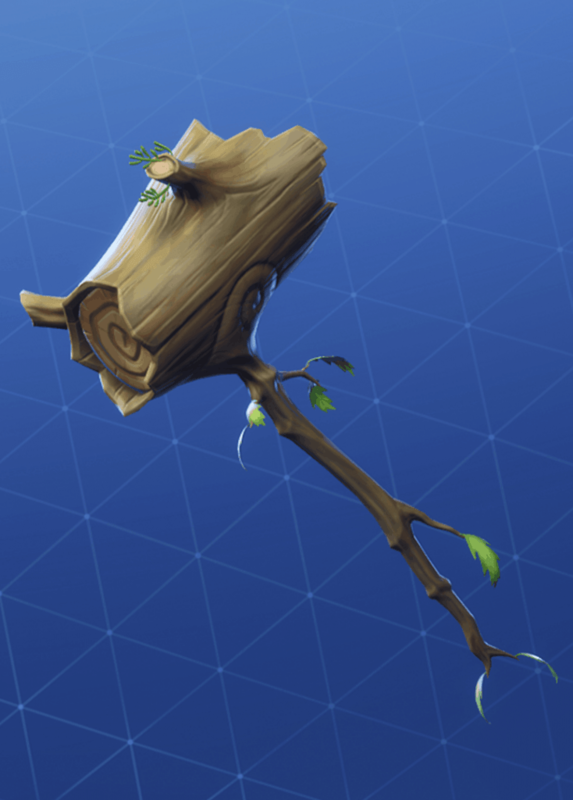 Stumpy is a rare pickaxe that costs 800 V-Bucks. 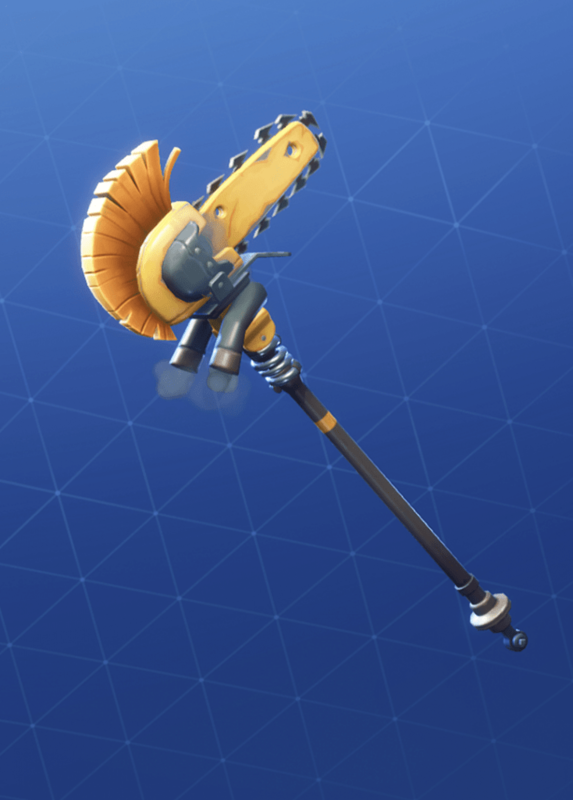 The Grand Slammer pickaxe was released on the 28th of March 2019. 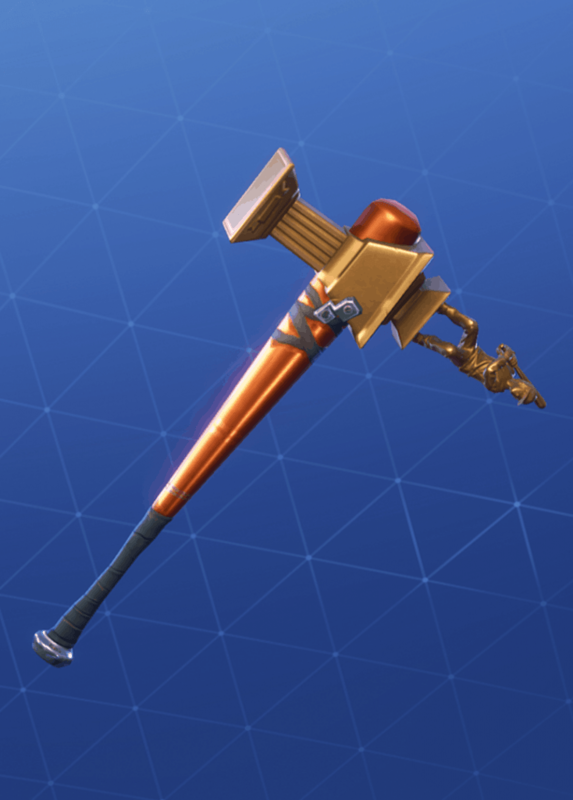 Grand Slammer is an uncommon pickaxe, part of the Three Strikes set, and costs 500 V-Bucks.